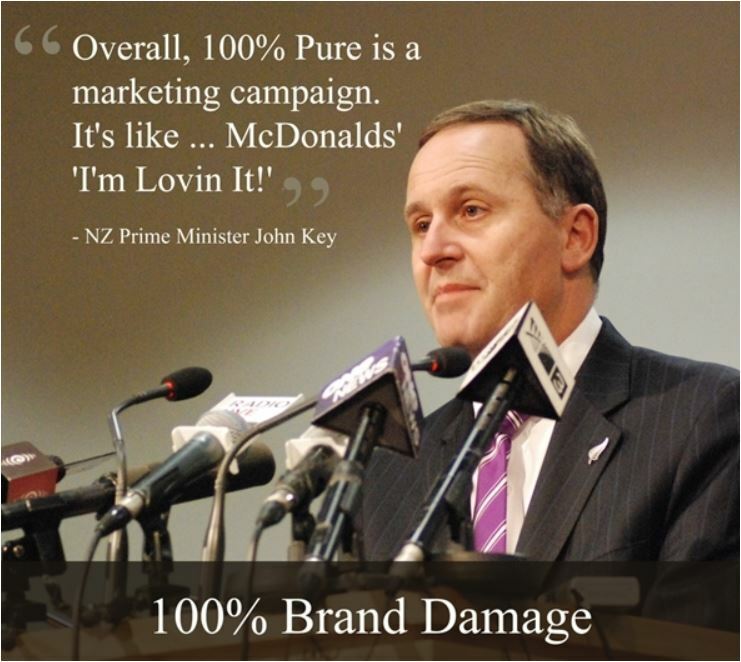 Prime Minister John Key has already admitted 100% Pure was nothing but a marketing campaign, akin to a burger slogan. Yet scientists are called traitors if they disagree with the message. Some scientists worry a proposed new code governing what they can speak out about is actually an attempt to gag them. 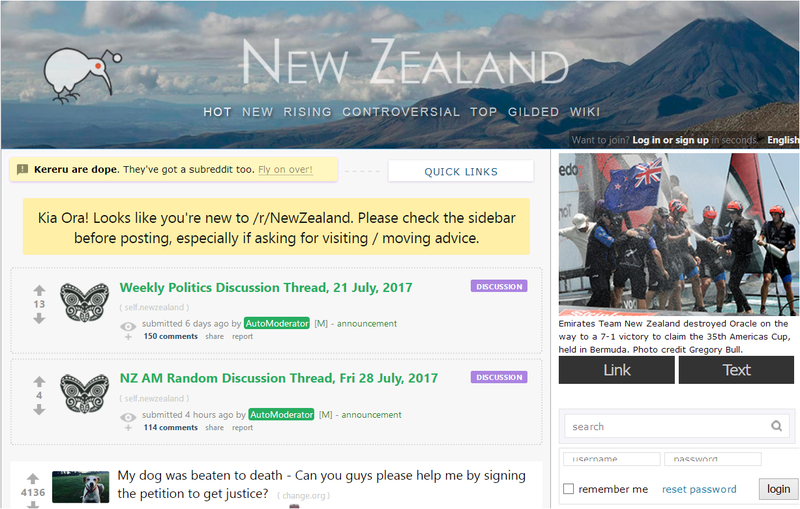 Professor Mike Joy, who criticized New Zealand’s 100% pure image to the NYT, attracted personal attacks from members of the government, (including the Prime Minister of New Zealand, John Key) which included being called a traitor to New Zealand. In a Radio NZ interview, Joy says New Zealand’s government wants to double agriculture and they don’t want people like him pointing out that’s going to have a massive impact on the environment. He also cites the example of the Department of Conservation who used to advocate for the environment, explaining that they’ve been silenced (a victim of massive budget cuts and staffing reductions imposed by Key’s government) Fish and Game aren’t far behind. Prof. Shaun Hendy from Auckland University says it’s already very hard to convince other scientists to talk, due in part to incidents such as the Fontera contamination scare. There was a “real dearth” of scientists who were permitted to speak out on that because many of them either worked for the company or for government. Hendy is concerned that a climate exists where scientists aren’t able to talk about controversial and difficult issues. Furthermore, Gluckman “warns of the dangers of scientists acting as advocates.” If scientists can’t be advocates who the heck can – big business and politicians? “…if science is to be trusted by the public, then we scientists need to take that trust seriously. What does it mean for us to insist on a place of privilege for scientific knowledge? In the last few months, several different occurrences have focused my thinking on this topic. First there were allegations of misconduct by CRI (Crown Research Institute) scientists at NIWA with respect to the Ruataniwha irrigation scheme. When asked to comment, I was at pains to highlight the different circumstances of those scientists employed at our universities, who have the statutory privilege of academic freedom, and that of our CRI scientists, who work in an environment in which commercial and governmental financial pressures have a much more direct impact. Not that this affects scientific outcomes directly, necessarily – but the uneasy coexistence of public good and commercial research in our CRIs leaves their staff in a situation that is not always straightforwardly navigated. It doesn’t exactly lend itself to the transparency that might assist public understanding, either. Secondly, the NZ Association of Scientists ran a survey of NZ scientists who were willing to share their experience with the National Science Challenges. The results were far more pointy-ended than I had expected, based on a year of discussions where everyone publicly seemed to agree on the need to make the best of a bad job. It was a lesson in the power of anonymity in giving people a voice – a lesson reinforced by the emails I then received, in particular from CRI scientists who are, as one correspondent reported, “gagged from talking to the media on topics that might seem critical of government policy from 2 months out from the election”. A third moment of reflection was prompted by the release of the plan for the Science in Society project: A Nation of Curious Minds. This is a really positive initiative, aimed at “developing stronger connections between science and society” and putting “special emphasis on our young people and science education”: a really laudable initiative that has come out of the process behind the National Science Challenges, and I don’t want to come across as critical in the least. Except for just one small thing. It may even be nothing. One of the actions recommended in this report is that the Royal Society of New Zealand develop a new code of practice for public engagement for scientists. In the fine print, we are given additional clarification that this will pertain to the “social responsibility of science organisations and scientists to engage with the public and policy makers based on their expert knowledge”. Again – this sounds fine. Except – from what I can tell, it seems that we already have this. 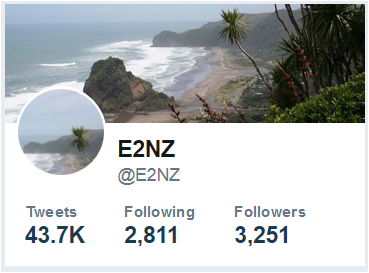 We’d like to hear from scientists in New Zealand and what they think of the current restrictions, and the plan to tighten them further. Retardicon 6 has chased away most of its scientists. The New Zealand culture is very much anti-science or anything else that is remotely intellectual.